Academic degree, academic title: doctor of technical Sciences – 1993, Professor – 2002. Professor, doctor of technical Sciences. He published 115 scientific works, 20 of which are copyright certificates for inventions, 7 monographs (2 in Kazakh, 5 in russian). Trained four doctors of technical Sciences. 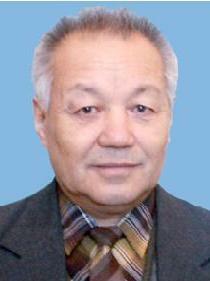 He was awarded two diplomas and gratitude of the Minister of education of the Kazakh SSR. Lectures on the discipline “Switching Systems” and etc.